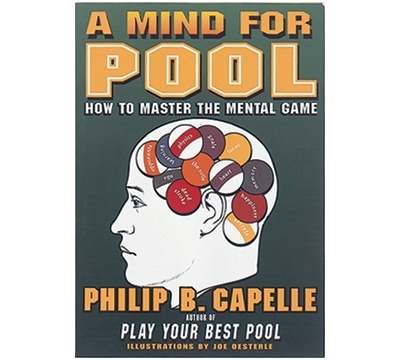 MP20 – Capelle's "A Mind for Pool"
The experts claim that winning at pool depends largely on how well you play the mental game. This provides you with over 120 lessons on how to improve, compete and enjoy your game. You'll learn all about dead stroke, concentration, anger and much more. In addition, there is a special chapter just for league players. "Capelle's Laws for Pool" summarize each lesson. 80 lists help you to evaluate all facets of your mental game. Over 500 quotes from history's greatest thinkers help to reinforce each lesson. 304 pages.